The social network is getting better at translating thanks to introduction of neural networks. The social media giant, which has over two billion users worldwide, is now using neural networks for to automatically translate content in foreign markets. In a blog post detailing the switch, Facebook says it went from using phrase-based machine translation model to neural networks, and so far has seen an 11 per cent increase in the accuracy of machine translation. The biggest disadvantage of a phrase-based model was that it broke down sentences into individual words or phrases. When translating them, the system could only consider a couple of words at the time. With bigger sentences (and those with an inversed order of words), sentences would sometimes come out poorly translated. Now, with the recurrent neural network – sequence-to-sequence LSTM (long short-term memory), that problem has been remedied. 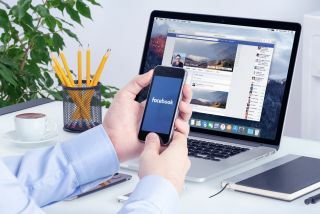 “With the new system, we saw an average relative increase of 11 per cent in BLEU — a widely used metric for judging the accuracy of machine translation — across all languages compared with the phrase-based systems,” Facebook revealed. Neural networks will open new doors for future development, Facebook says. It hopes ‘reading’ photos that come with text will help create better translations, as well. “Completing the transition from phrase-based to neural machine translation is a milestone on our path to providing Facebook experiences to everyone in their preferred language. We will continue to push the boundaries of neural machine translation technology, with the aim of providing humanlike translations to everyone on Facebook,” the social media giant concluded.